Colgate students are taking lessons in the liberal arts outside the picturesque Chenango Valley — and in impressive numbers. The university has been ranked first among baccalaureate institutions for student participation in semester-long off-campus study opportunities. The rankings appeared in the annual Open Doors report, published by the Institute of International Education (IIE) with the U.S. Department of State’s Bureau of Educational and Cultural Affairs. Colgate has held the top spot in the IIE ranking for two of the past three years, and has been a fixture in the top five for more than a decade. 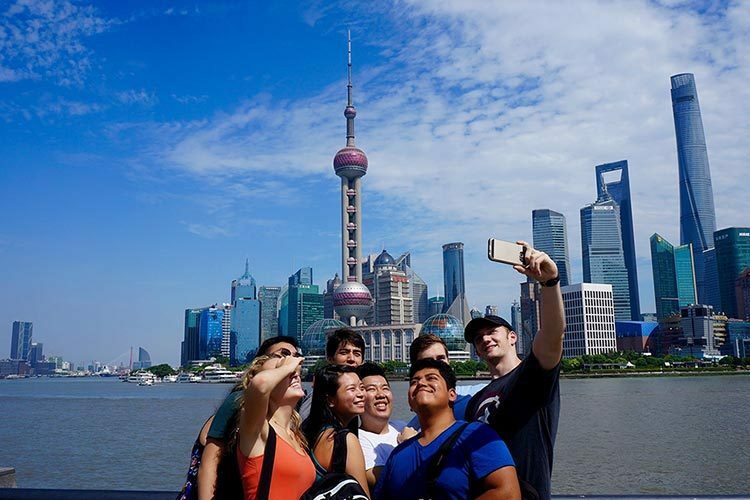 The IIE also listed Colgate ninth among baccalaureate institutions for overall participation in study abroad programs. For more information on the variety of Colgate’s off-campus opportunities, visit the Center for International Programs online.